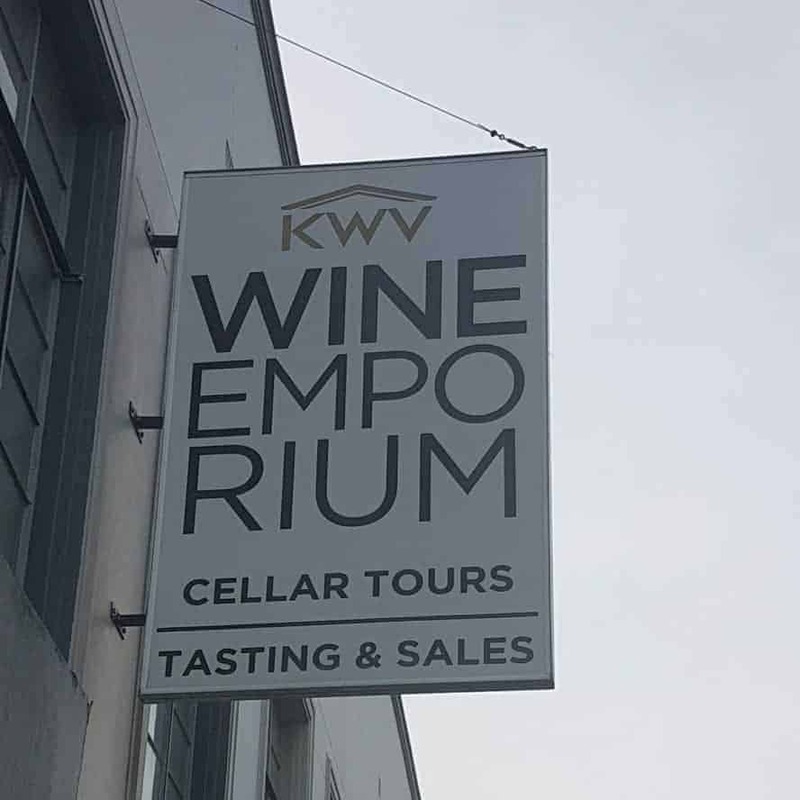 An afternoon well spent at the KWV emporium in Paarl is exactly what myself and 7 other lovely ladies had the opportunity to experience. It’s the first time I’ve ever been to an all girls tasting and it was so much that I’ve already rallied up my friends to come try this with me. We drove out to the wine lands in mild mist to visit this treasure found in the heart of Paarl. One of the oldest wine manufacturers in the country, Kwv has proven it’s status in both taste and heritage with its unique way of producing wine and the care it takes in supporting the locals in the surrounding areas. What’s not to love about a label of this magnitude that still takes time to uplift the community, something that’s spoken of way too little. We started our afternoon tasting with their Mcc and cheese cake selections. Could you even go wrong with cake and Champagne? When asked if a spitune was required, one of the ladies leaped at the chance to turn it down, claiming there was no one at the table in any mood to waste! She was right as the combinations were heavenly. I make no secret of my love for cake and I can assure you that you will not be disappointed. It was perfectly paired with a cheese cake that wasn’t too sweet and Mcc’s that weren’t too acidic. Next we were treated to a selection of both whites and reds from the Mentors range with the cutest little pies as pairing partners. From steak and lamb to curry and bobootie, the perfect pairing for rich reds with lots of flavour. The reds are full bodied and strong in its flavour and even though some of the vintages are young, they still give the same impression as a later vintage or harvest which only shows that KWV really do take time and effort to produce wines that are delicious at any age. The whites were very fruity and it’s easy for first time wine tasters or regular tasters. Spend hints of apple in the Chenin blanc was at the top my my tasty list. The selection is very impressive. Almost too perfect, but when you love what you do as much as wine make Izel does, then you end up with something as good as this. Our final pairing was a mix of ports, liqueurs and cupcakes, my favorite out of the 3. I love ports and liqueurs as much as I love champers and it’s great that the KWV have a range that’s not too pricy for one to stock up and keep at home for guests or simply to warm a cold winters night. It’s sweet, but excellent with a cheese platter, full of flavour from glass to mouth and if you’ve ever doubted their Wild Africa cream, then please try it out for its lower alcohol volume and it’s higher scale in taste. Flavours of hazelnut,marmalade and apple bring out the best in these. High alcohol liqueurs can be really hard to enjoy because it has a tendency to go straight to the head, but smooth, softer selections can keep a conversation going for hours without fear of going off the rails. Their pairings are so cheap. There is no other way to say that. I highly recommend it to anyone wanting to spend an entire day relaxing, tasting good wine and delicious food. 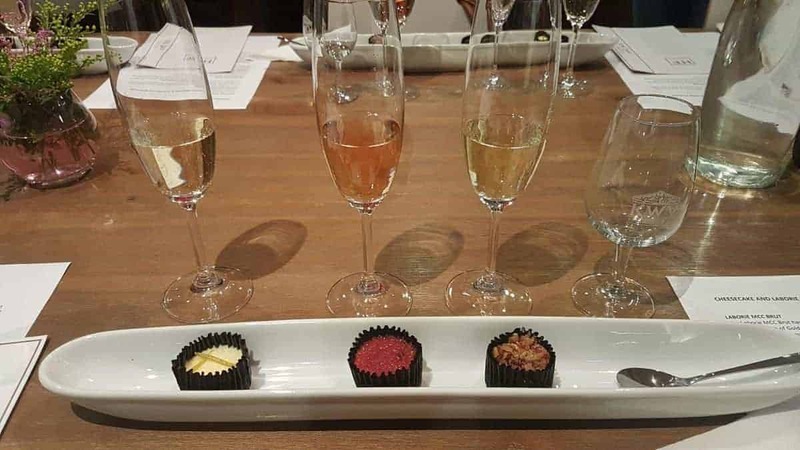 For as little as R50 per tasting you can start your day off with the reds and end with the bubbles or the other way around. It’s delicious, well put together and worth every penny. 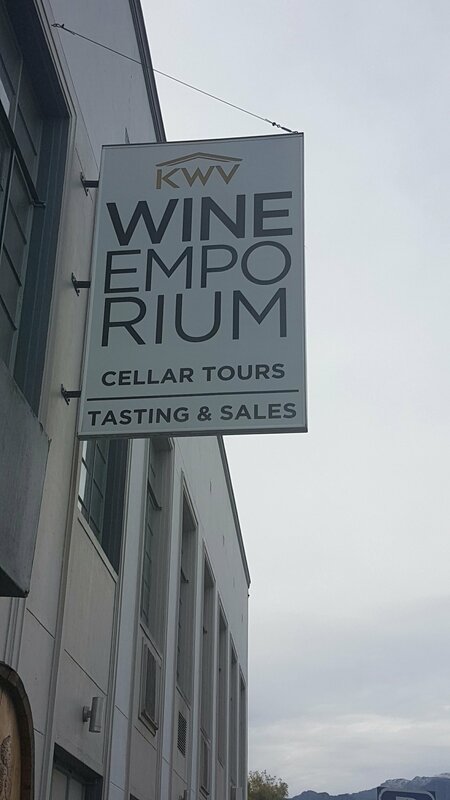 Great for a girls day out so grab your friends and head over to KWV emporium.